Own a piece of Paradise! 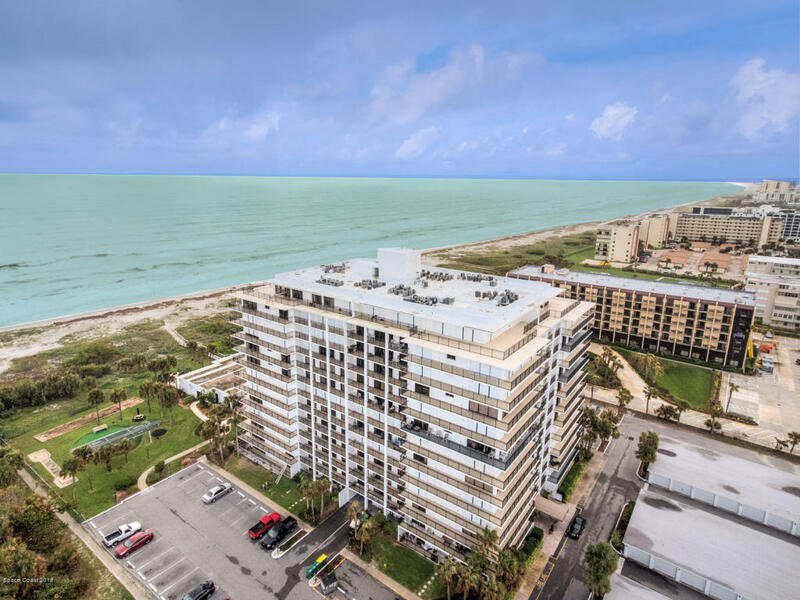 Stunning ocean views from your 11th floor balcony and a perfect location to watch cruise ships or shuttle launches. Well maintained unit has two spacious bedrooms with two baths and large closets. DESIGNATED GARAGE and storage unit included. Amenities include on-site management, oceanfront pool, spa & sauna, exercise room, tennis courts, shuffleboard, game room, beach access & BBQ. Ideal location close to shopping, restaurants, & more.